Signs of Love: Happy Valentine’s Day! Developer Paul Guillaro’s decision to set aside efforts to obtain a zoning change for the Butterfield property in western Putnam, and instead build 17- 18 single-family houses there, could have disastrous budget consequences for local governments, e… Please login below or purchase a subscription to the Putnam County Courier to access this content. Phone lines lit up like Christmas trees at the Putnam 9-1-1 Dispatch Center in Carmel Monday afternoon when caller after caller reported a wrong-way driver on the Taconic State Parkway in Putnam Valley. State Police from Stormville dispatched patrol… Please login below or purchase a subscription to the Putnam County Courier to access this content. Pat Sheehy gets behind the wheel of the new bus last week while Karl Rohde acts as co-pilot. A brand new 12-passenger Ford bus will soon be taking veterans and disabled senior citizens in need of medical treatment to physician’s offices thanks … Please login below or purchase a subscription to the Putnam County Courier to access this content. Fr. 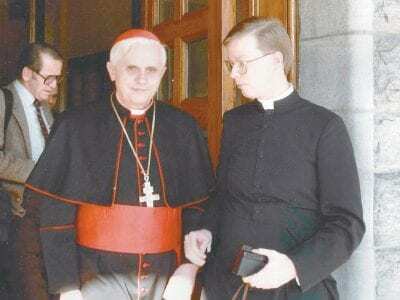 McSweeney of Our Lady of Loretto in Cold Spring, right, met Benedict XVI, the former Cardinal Joseph Ratzinger, in 1988 at St. Joseph’s Seminary in Yonkers. At the time, McSweeney was a permanent deacon, just before his ordination as a prie… Please login below or purchase a subscription to the Putnam County Courier to access this content. A Putnam Valley man accused of threatening to harm his mother is facing charges of menacing that could send him to the county jail for a year’s incarceration. The Sheriff’s Department reported the arrest Monday of Patrick Vasi in connection with the… Please login below or purchase a subscription to the Putnam County Courier to access this content. After many days in which they praised the new privacy protections in New York’s tough new gun-control law, Putnam County lawmakers have gone on record as opposing the law itself, charging it compels unfunded mandates while threatening the rights of … Please login below or purchase a subscription to the Putnam County Courier to access this content. Putnam lawmakers have voted to fully fund the county’s Tourism Bureau by transferring $23,000 from a contingency fund. But the transfer didn’t come without some controversy, as Legislator Dini LoBue questioned whether the transfer was actually being… Please login below or purchase a subscription to the Putnam County Courier to access this content. The county legislature has proclaimed this week as Children of Alcoholics Week, hoping to encourage help for the estimated 6,000 children countywide whose parents are alcoholics and substance abusers. 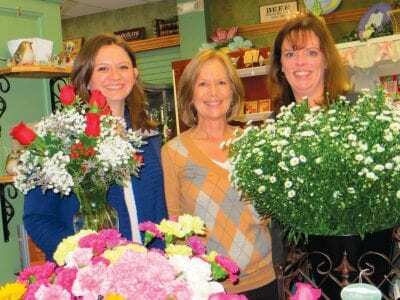 During its regular monthly meeting last Wednesda… Please login below or purchase a subscription to the Putnam County Courier to access this content.